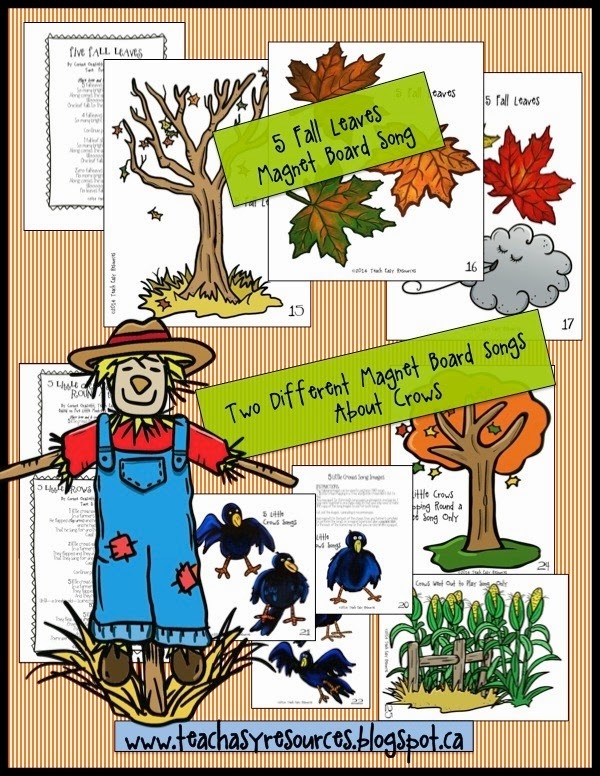 Teach Easy Resources: 10 Fall Magnet Board Songs and a Giveaway Contest! 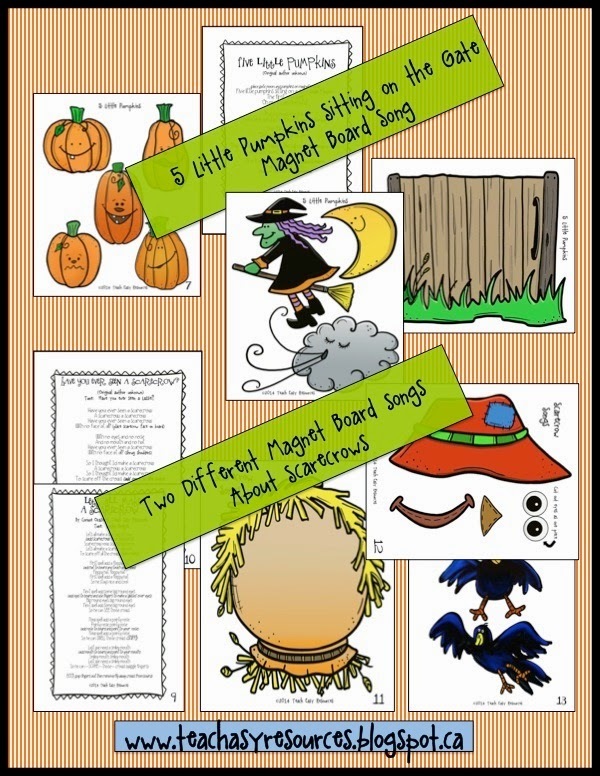 10 Fall Magnet Board Songs and a Giveaway Contest! I just finished creating this set of Fall songs for circle time. Now I can relax knowing I have some fun new materials ready for when I return to school! Phew! No last minute prep! This set contains 10 different songs - some popular classics, as well as a number of original fall songs set to classic tunes. Easy to learn, easy to perform. Just what I like! Here's a sample of what I made! 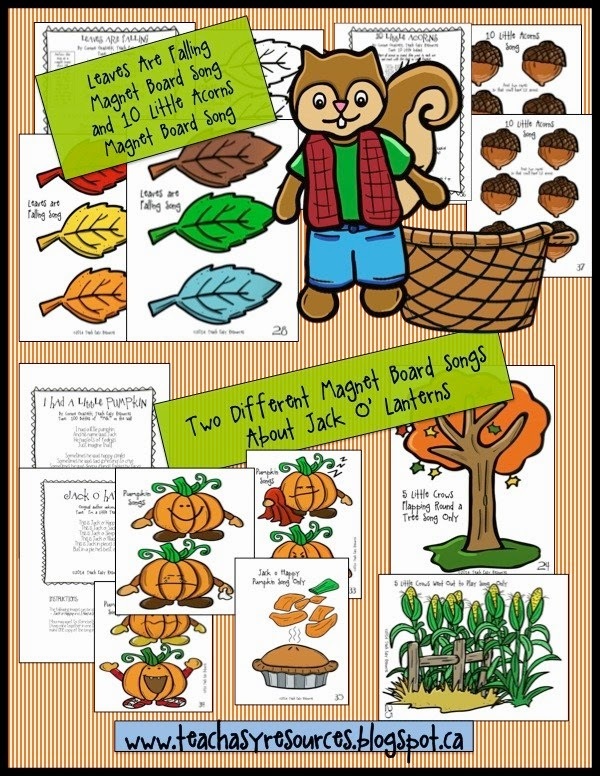 The images can be used on a felt board (by gluing pieces of felt to the back) or on a magnet board. I plan to glue some button magnets to the back of each picture and then use them on a magnet board. What can I say? I love magnets! 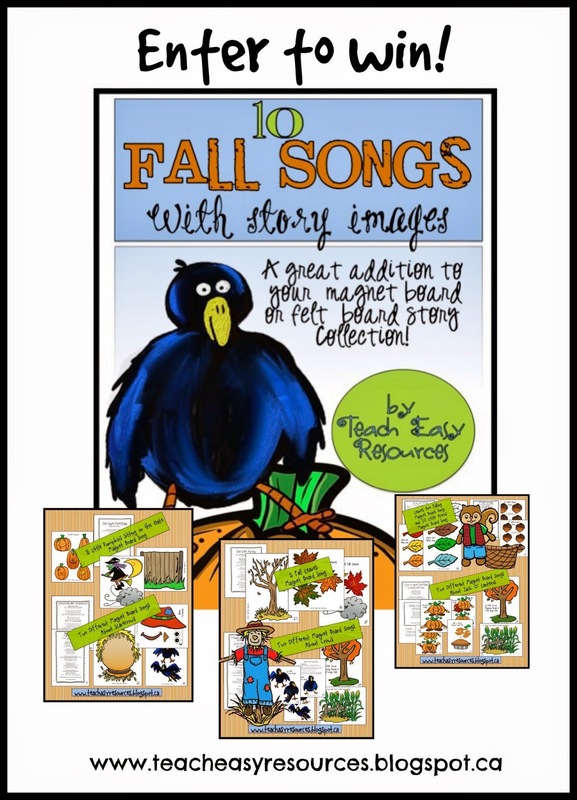 This 10 Fall Songs with Story Images set is available in my Teacher's Pay Teacher's shop. 40 pages and over 50 images for $6! 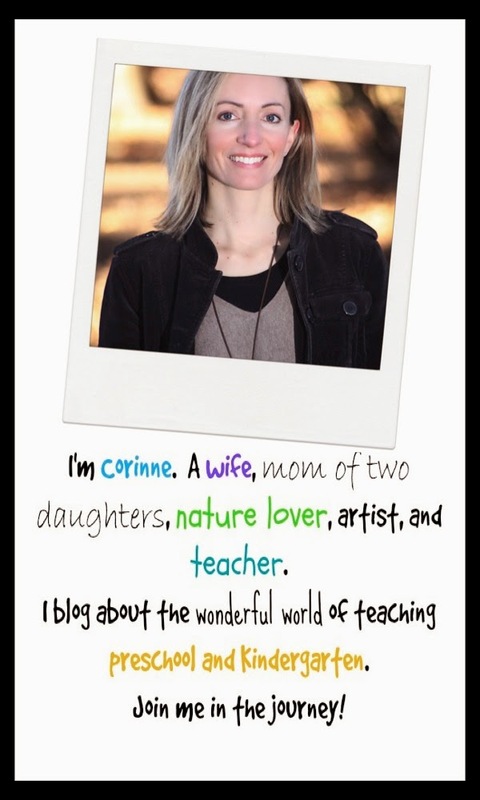 I'm so excited about this set that I would love to share it for FREE with two of my blog followers! typed into the subject line.